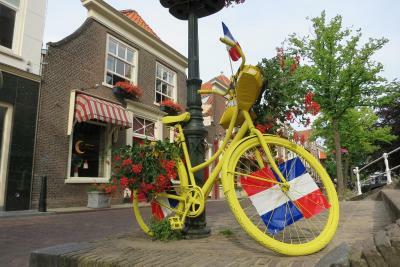 Lock in a great price for Hotel de Emauspoort – rated 9.1 by recent guests! I really enjoyed my stay! Staff was very nice and helpful. They helped me with my very early check out time and even made me a breakfast box the night before. Location was very convenient right at the heart of town, easy walk from train station. It is a different experience than a usual hotel room but I really liked it. Excellent location across a canal from the new church. The room was spacious, clean, quiet, and comfortable. There is a nice yard within the hotel. Excellent breakfast. Helpful staff. Good WiFi. I'd stay here again. 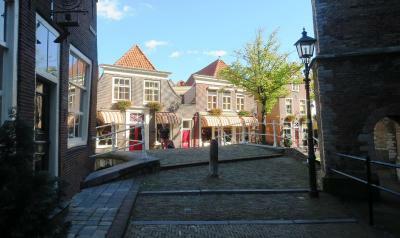 Location in the center of Delft, near the new church, close to a lot of good restaurants. Breakfast good but not super-rich in choice. WiFi working fairly good. 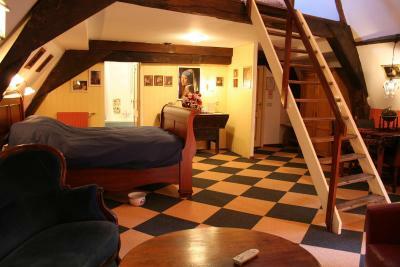 Apartment room very wide and with a characteristic style, on two floors. 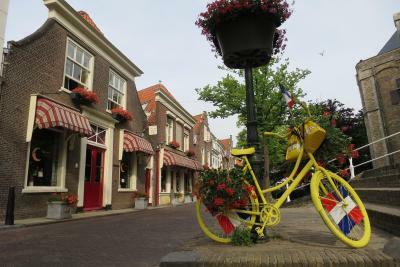 We loved the location in Delft. The property was well kept and clean and an awesome value. The staff, young man was very kind and helped us about parking and other things, especially we needed to read Dutch, his help was great help for us. The room was facing canal, so we enjoyed the view. Although parking is not in property, after we talked with the staff, no problem. Breakfast was good., too. 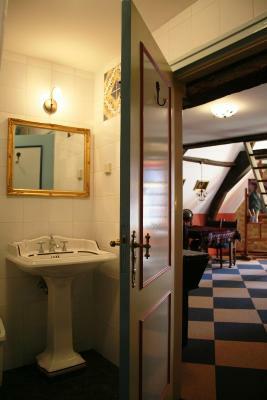 We liked Delft a lot including this cosy nice hotel. Love the place absolutely. Felt like home when I was traveling. The host is nice, and I got a little present when I checked out. Too bad I slept in, so I didn't get to enjoy the breakfast. Overall, I love it! This was an adorable hotel with a great location. 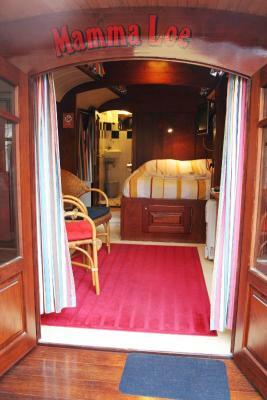 The room was wonderful, quiet, comfortable bed and had everything I needed and was spotless. I only had one night here but wish it had been longer. The staff were organized and friendly and the breakfast was delicious! Highly recommend! Hotel de Emauspoort This rating is a reflection of how the property compares to the industry standard when it comes to price, facilities and services available. It's based on a self-evaluation by the property. Use this rating to help choose your stay! 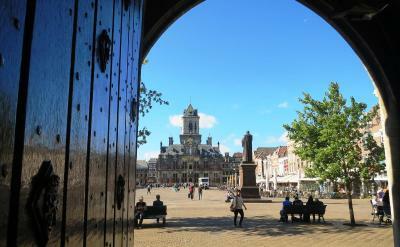 This 3-star hotel is behind the historic Nieuwe Kerk. 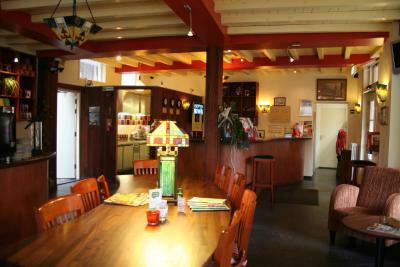 Hotel de Emauspoort has free Wi-Fi and a lounge. 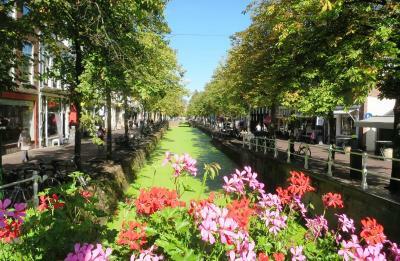 Delft Central Train Station is a 12-minute walk away. Each of the individually decorated accommodations features a TV, city or courtyard view and some have a desk. The private bathrooms at Hotel de Emauspoort have a shower. There is a lounge where you can relax and enjoy a drink. 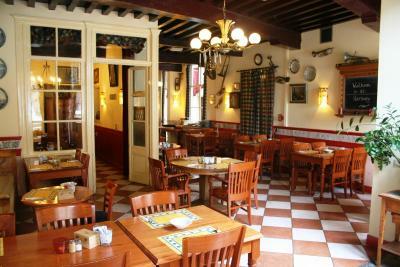 In the direct surroundings of Emauspoort there is a wide variety of lunchrooms and restaurants. 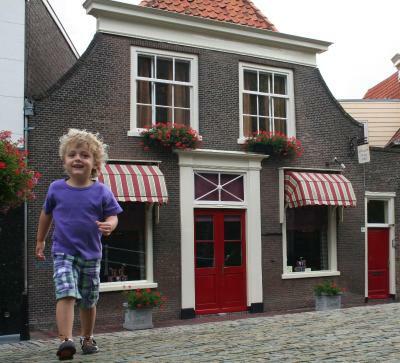 The TU Delft and Museum De Porceleyne Fles is a 7-minute drive from Emauspoort. The A13 highway is a 5-minute drive away. 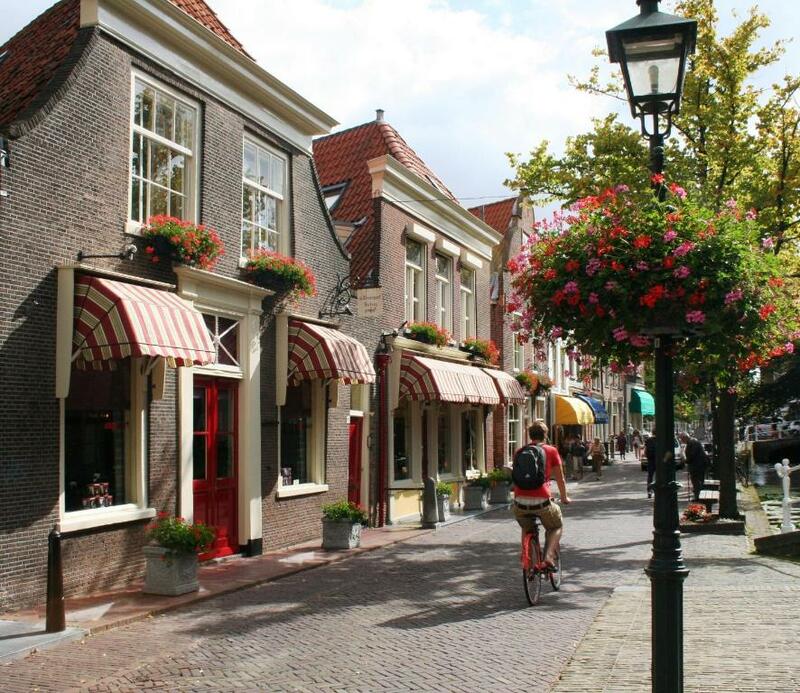 The Hague and Rotterdam are both 20 minutes away by car. 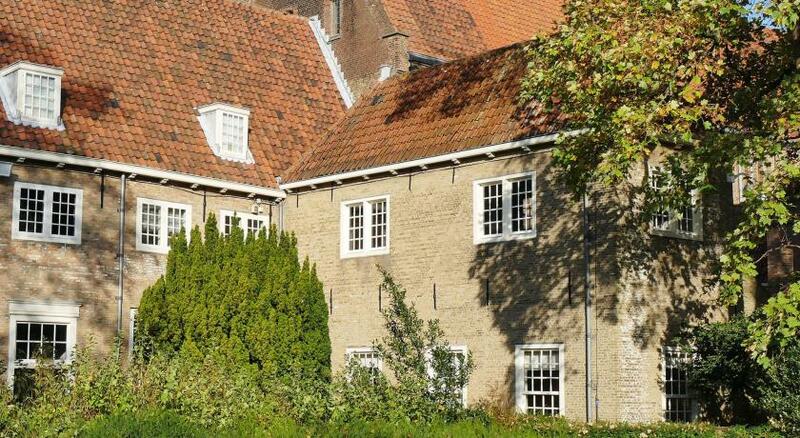 This property also has one of the top-rated locations in Delft! Guests are happier about it compared to other properties in the area. 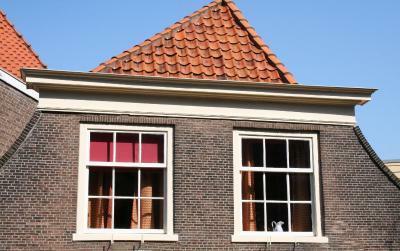 This property is also rated for the best value in Delft! Guests are getting more for their money when compared to other properties in this city. 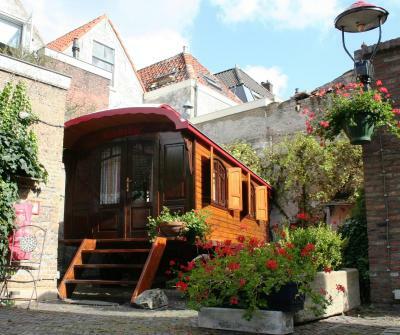 When would you like to stay at Hotel de Emauspoort? This room features a TV, desk and private bathroom. This apartment with balcony features a kitchen, TV and sitting area. The bathroom has a bathtub. This Gypsy Caravan is decorated in a clown theme. 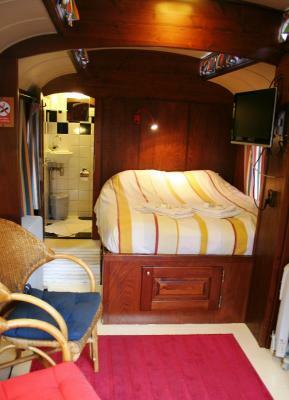 It features a TV and private bathroom. This spacious room features a TV, desk and private bathroom. 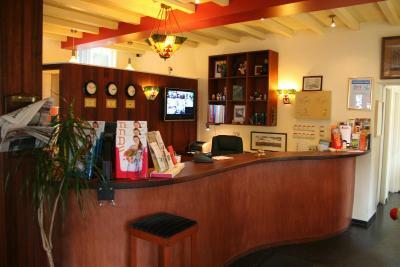 House Rules Hotel de Emauspoort takes special requests – add in the next step! One older child or adult is charged EUR 37 per person per night in an extra bed. ATM card Debit card Hotel de Emauspoort accepts these cards and reserves the right to temporarily hold an amount prior to arrival. Hotel de Emauspoort accepts these cards and reserves the right to temporarily hold an amount prior to arrival. Please let Hotel de Emauspoort know your expected arrival time in advance. You can use the Special Requests box when booking or contact the property. It is not possible to check in past 10 pm as that is when the front desk closes. Comfortable bed and bedding. Lovely breakfast included. Great location and helpful staff. 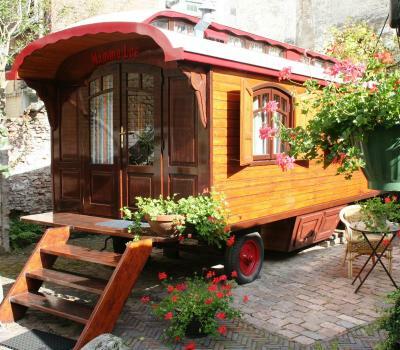 If we were ever to return we would definitely book to stay in the gypsy caravans! We stayed in one of the little caravans, which I would definitely recommend, but it was quite cold in the night time, even though we kept the heater on for the whole time. I little bit over priced, but worth the experience! 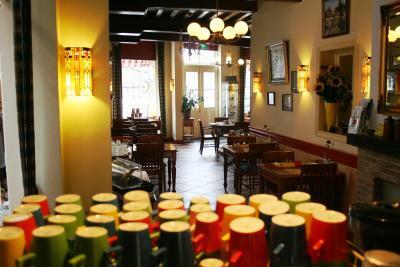 Great atmosphere, friendly staff and super good location. Breakfast was also amazing! The situation was wonderful, just next to the new church. The breakfast was great. Room was warm and comfortable. We got small gift from hotel when we left. 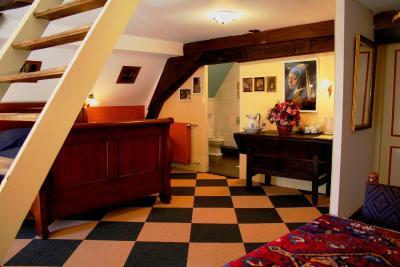 Our room was located at top of 2 flights of steep stairs. Not a deal-breaker or problem for us, but could pose access issues for those less mobile. 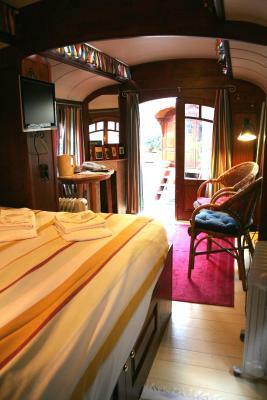 Cosy B&B in excellent location with warm and friendly staff. 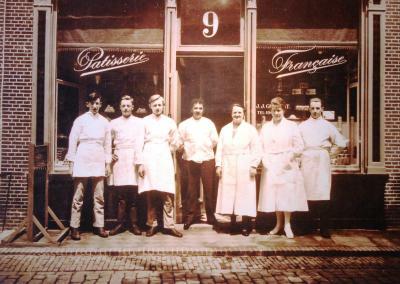 Waking up to the smell of freshly baked pastry in the morning as the bakery was right below the apartment was amazing. The apartment itself was very charming with a great view. The overall attitude of the hotel is so cold and thr way they speak is definitely not human. It feels like they are robots with human masks. 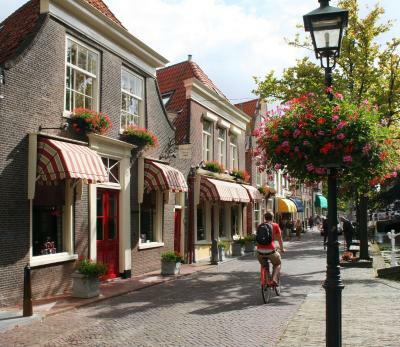 Absolutely nothing; this is the perfect place to stay to enjoy beautiful, historical Delft, and to use as a base to further explore the surrounding area. A plethora of places to eat and drink, and it has a lovely, buzzy feel to it being a university town. We have stayed here many times, and are always made to feel very welcome by the owner. This is a very cute hotel, with a lot of history, and the location couldn't be better. 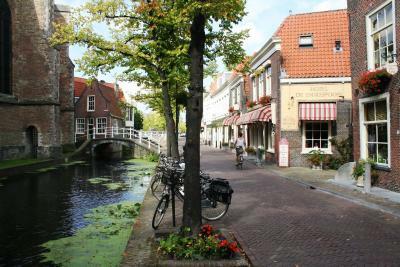 Breakfast is always lovely, and enjoyed overlooking one of the many canals and the rear of the big church. 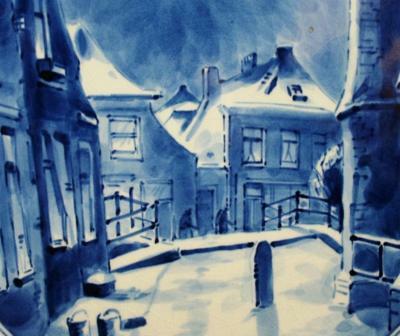 It feels like home from home, and I wouldn't stay anywhere else in Delft! Very basic amenities/room and thin walls. Great location; cute room; super friendly staff. Good value.